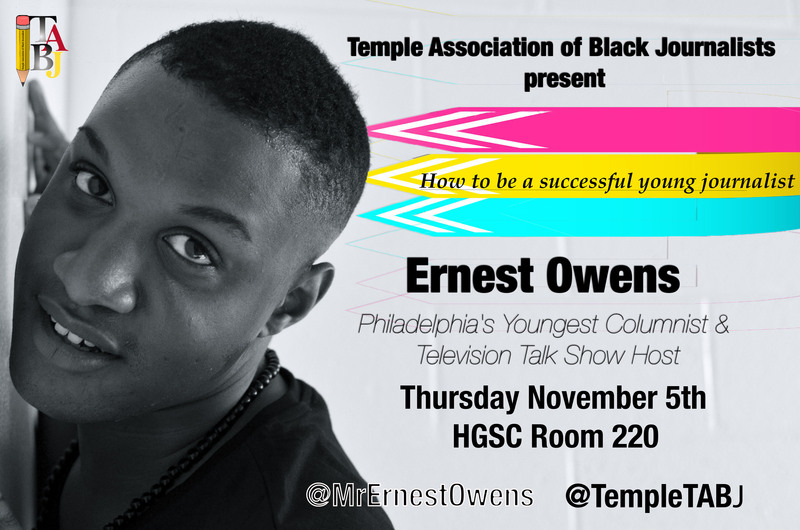 Join us TONIGHT for our guest speaker Journalist Ernest Owens! He will be discussing how to enter the media industry right out of college! This is a HUGE program. Food will be provided! We’ll be in the SAC room 220 at 7pm!